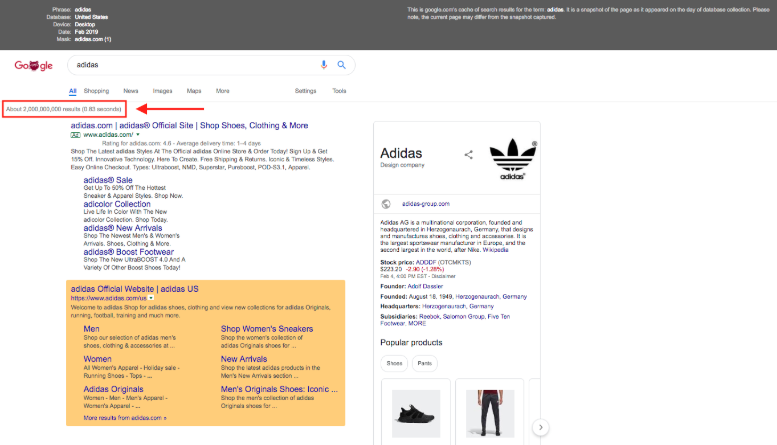 You can check the SERP source (2) to see how many results Google has shown below the Google search bar and above the first result. Below is an example of the SERP source and where to look for Google’s number of results. Please note: the number of results that Google has indexed can change multiple times in a single day and can also change based on your location. 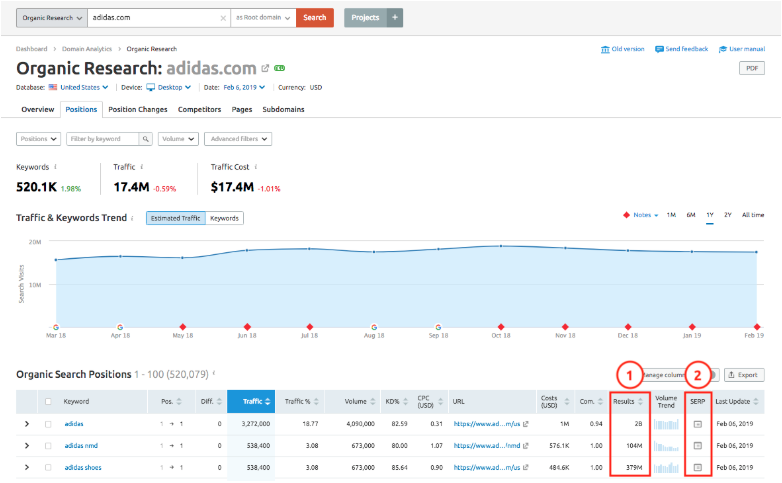 Therefore, you may see slightly different numbers in SEMrush’s database and when you search a keyword from your browser.